Vienna is to invest 13.2 million Euro in so-called ‘Commuter Package’ to combat the ‘problems’ caused by the new parking permit in Vienna’s outer districts for commuters. There will be increased park and ride spaces in the city and also further investments in the Badner Bahn system used by commuters into the Austrian capital. Michael Häupl from the SPÖ and Erwin Pröll from the ÖVP have proposed these measures to combat the problems facing commuters who can no longer park in the ‘Parkpickerl’ parking permit zones in Vienna. Häupl said: “We have to introduce more public parking space so that Vienna residents can also park their vehicles. We are not just going to improve the supply for car drivers but are also going to improve public transport. There will be new park and ride spaces built in Lower Austria as well as improvements to the Badner Bahn. By the end of 2013 there are to be around 1,500 extra park and ride parking spaces and by the end of 2015 there are hoped to be 2,230 extra parking spaces. 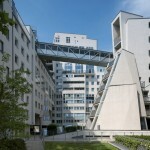 Vienna is carrying 25 per cent of the costs for these spaces approximately 2.7 million Euro. The Badner Bahn is to have 70 million Euro invested in it by 2012. It is estimated the trains form Baden to Vienna will then run every 7.5 minutes as opposed to every 15 minutes as they currently run. 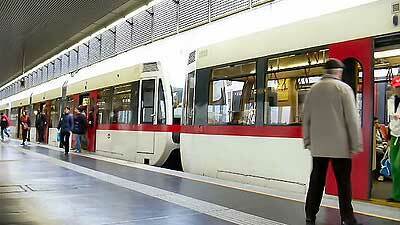 Both Vienna and Lower Austria are investing 10.5 million Euro in the project and Wiener Lokalbahn AG 49.7 million Euro. The outer regions of the city are expected to grow by 400,000 by 2030. Every day around 250,000 people commute to Vienna for work. 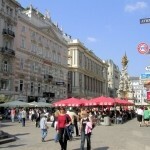 Around 80,000 people from Vienna leave the city everyday to work. 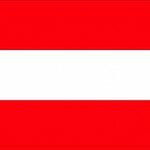 Austria Immigration Austria Immigration, Commuter Package, Public Parking Spaces, Vienna Public Transportation. permalink.